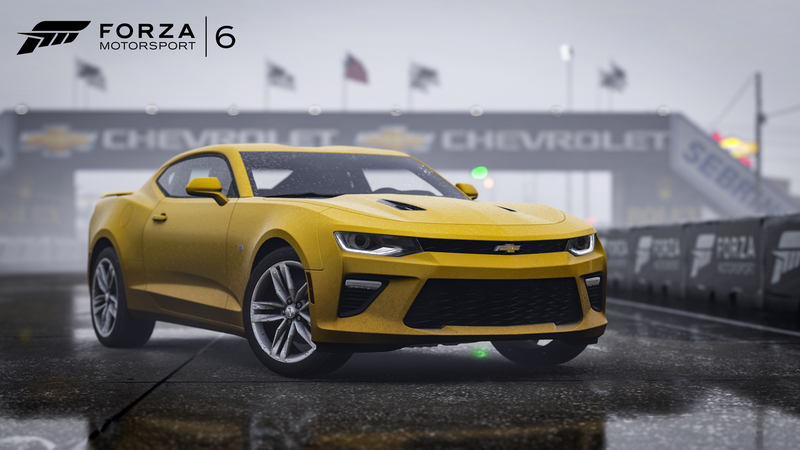 The Hot Wheels Car Pack for Forza Motorsport 6 arrives today, bringing with it a collection of cars that are sure to please both die-cast diehards and virtual racers alike. Leading this seven-car pack are two models that Hot Wheels fans are intimately familiar with – the 2011 Hot Wheels Bone Shaker and the 2005 Ford Hot Wheels Mustang. Making its Xbox One console debut, the Bone Shaker is the ultimate rat-rod – a real life showcase car built in 2011 that that has since taken on legendary status among Hot Wheels fans. Alongside the Bone Shaker, the killer drifting Mustang that Hot Wheels built to celebrate 50 years of the Mustang model is sure to become a favorite among Forza fans who love to get sideways. 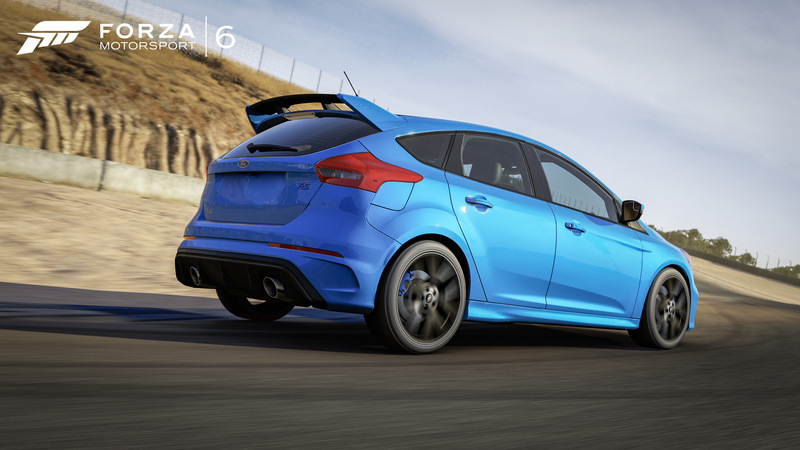 Also making its Xbox One debut in this pack is arguably the most anticipated hot hatch of the decade – the 2017 Ford Focus RS, which makes its global real-life debut in June. 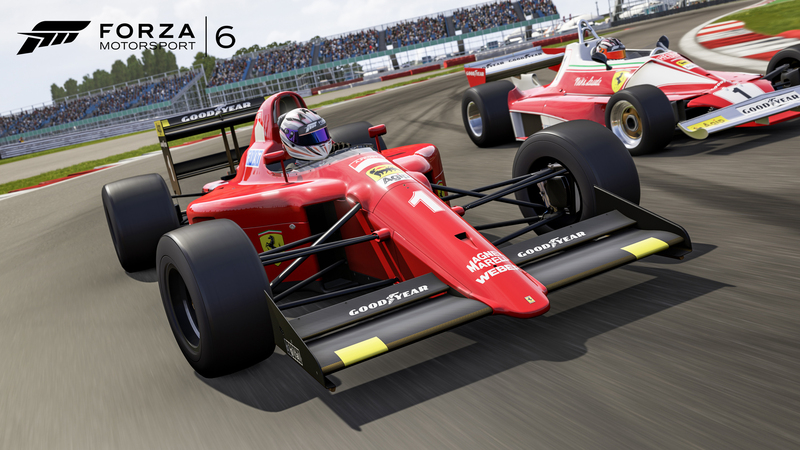 Other highlights in the pack include the race-ready version of McLaren’s flagship hypercar, an early 90s Ferrari F1 racer, and more, making the Hot Wheels Car Pack a must-have for nearly any type of car fan. 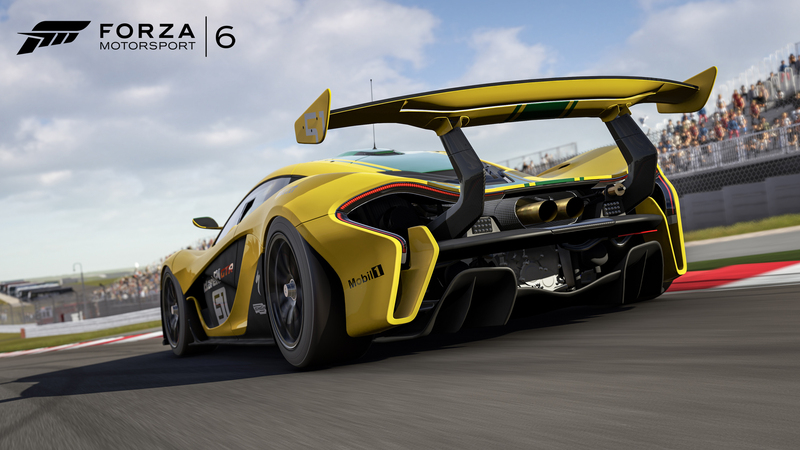 The Hot Wheels Car Pack is available today for download for $7 and not included in the Forza Motorsport 6 Car Pass. Individual cars are also available a la carte. 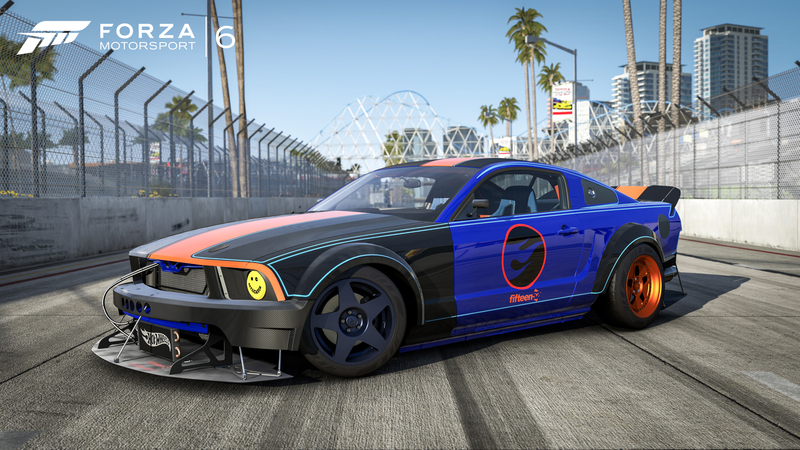 Additionally, for those interested in creating some awesome liveries for these vehicles, the official Hot Wheels logo is now available in the Forza Motorsport 6 livery editor. The launch of the Hot Wheels Car Pack for Forza Motorsport 6 is just the start of Forza’s ongoing partnership with Hot Wheels. In May and June, Hot Wheels will be launching two cars from the Forza 6 Hot Wheels Car Pack as collectible die-cast models in retail stores. Look for the 2016 Chevrolet Camaro Super Sport on store shelves beginning on May 23 and the 2017 Ford Focus RS starting on June 20. In addition, November will see the launch of the Forza Motorsport Hot Wheels Entertainment Series of die-cast cars, featuring five Forza Motorsport-themed models. Stay tuned for more information on this line of cars in the months ahead. Designed by "Mr. 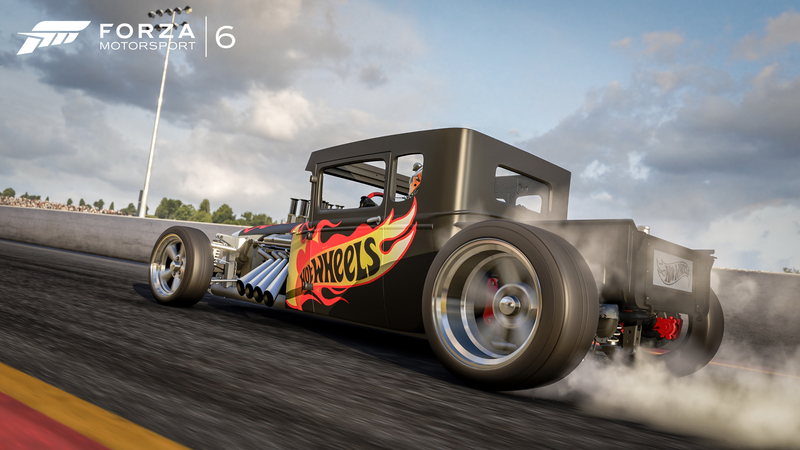 Hot Wheels" Designer Larry Wood, the Bone Shaker is one of a handful of Hot Wheels deemed popular enough to warrant the creation of a real-life version, and now you can drive it in Forza Motorsport 6. Built in 2011 by Picture Car Warehouse, the Bone Shaker carries all the details of the original 1:64 scale model. The trademark skull face with hands gripping the headlights make it clear that this is no run-of-the-mill rat rod. The small-block Chevy motor with headers and straight pipes was built to intimidate in both sound and performance. To show off the interior details and stay true to the original form, the top is open -- although closed-top die-cast versions were also made. Inside, creepy details like the skull-topped spine shifter and the skull-and-crossbones steering wheel pair perfectly with the awesome flame-job on the outside. When you consider the fervor over the upcoming release of the latest RS from Ford, the only factor that can beat the hype is the actual car itself. With the Focus RS, Ford cut no corners and is drawing new boundaries for what enthusiasts can expect from the blue oval. Most of all, we can thank them for bringing the RS to America. Turns out Americans do love to drive, and the Focus RS is all about driving. The RS speaks for itself with a barking, raspy burble that harkens to its rally heritage. But don’t worry, the RS is not all talk. Thanks to Ford’s innovative Torque Vectoring Rear Drive Module, power distribution is far more adaptable than ever before. This is just the tip of the iceberg, too; the RS boasts 350hp, aggressive lines, braking that inspires confidence, and an adjustable suspension. As the result of more than two years of development headed by Tyrone Johnson, Ford’s vehicle performance manager, it won’t take much time behind the wheel to justify that “RS” badge. So why not get started now? Among elite supercar heritage the name of McLaren stands tall and, at the blistering edge of performances, lives the P1 GTR. Named after the McLaren F1 GTR, which won the 1995 24 Hours of Le Mans, the GTR is a race-bred hypercar with clear intent to rule the track. As part of McLaren’s GTR Driver Program, owners can receive training in preparation to participate in exclusive racing events. The GTR brings more power and more downforce, as well as a race-prepared suspension to the hypercar table. Look closely and you will notice the mirrors have been moved to the A-pillars to increase visibility and reduce drag. If you are looking for the ultimate offering from the U.K., look no further, the P1 GTR is here. Motorsport history was made in 1990 when racing legend Alain Prost battled McLaren's Ayrton Senna. There was no love lost between the two as the season shook out with Senna taking pole and winning many races, with Prost beside him on the grid or close behind in second. Prost's 641 took Ferrari engineering to the next level with electronically-controlled paddle-shifting and the glorious roar of its 680-hp V12 driving the John Barnard-designed chassis. Prost would refer to the 641 as "The best car on the grid." It was this car that Senna punted off track at Suzuka when he was upset about pole position being on the dirty side of the track; the move would give Senna the driver's championship that year. Prost's famous response to the incident? "Motor racing is sport, not war." While McLaren would also earn the constructor’s championship in 1990 (by a mere 11 points), the battle between Ferrari and McLaren (and their two fiery drivers) would go down in motorsport history as one of the greatest rivalries of all time. 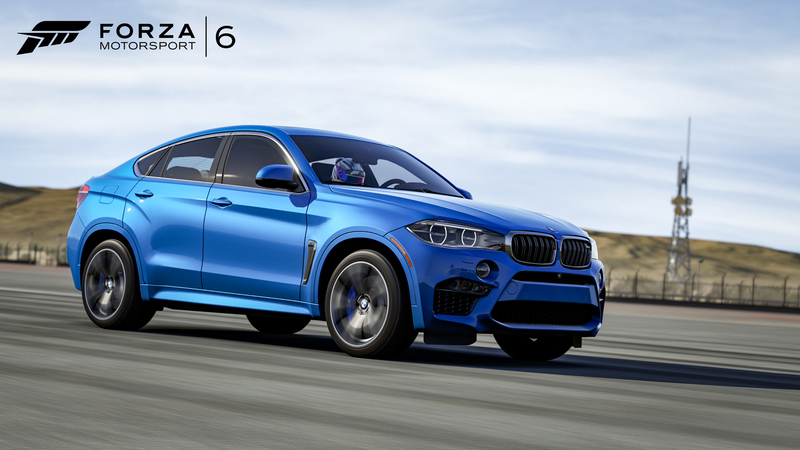 At a glance, one might wonder what the intents of the X6M are. It’s too tall to be a sports car, yet its performance is undeniably exciting . The answer lies in the last letter of its designation, “M,” and one drive on most any surface will prove its heritage lies within. This twin- turbo V8-powered version with all-wheel-drive and an eight-speed automatic takes off from the line with the muster of cars half its weight. And, despite it being over 5,000 lbs, it will carve a turn and brake like you expect from any M-class BMW.